Most of us don’t like receiving criticism. But when we look back on our lives, we often find that our most significant moments of growth were driven by feedback and advice from others. We’ve already discussed the problems with being your own coach. Indeed, sometimes we need an external push to point us in the right direction. If you’re in charge of team management, part of your job is to evaluate its performance and dole out criticism that can help get everyone back on track. Mastering this communication and performance management is easier said than done, however. On one hand, you don’t want to water down your comments or avoid confronting imminent issues. On the other hand, you don’t want to make your team uncomfortable by singling out members or acting rudely. There is an area between these poles that allows you to criticize your team without demeaning them. Let’s explore this area, how to find it, and how to navigate it properly. Most of us have heard the term “constructive criticism” before. In fact, it’s one of those terms that loses its meaning after a while due to how frequently it’s used. Still, this is a relevant concept that’s worth truly understanding, as it defines the area between weak feedback and bullying mentioned above. Constructive criticism isn’t necessarily easy to swallow or even “nice.” Rather, it’s honest feedback given in good faith designed to improve the organization. The feedback given must have the ultimate purpose of improving the individual, team, and/or behavior moving forward. Without this aim in mind, criticism lacks initiative, and may even be given in bad faith. This is why leadership communication is so vital when delivering feedback. If you fail to clearly communicate why a problem needs fixing and how it might be fixed, you’re likely to encounter the problem again. Anyone who grew up with siblings has probably partaken in the blame game before, whether that blame was warranted or not. It’s true that we’re responsible for our own actions, and when we make mistakes it’s best to own up to them as soon as possible. However, playing the blame game is not an effective way to manage your team. When someone makes a mistake, it affects the whole team. Even if a single person made an error, this mistake serves as a learning opportunity for everyone including that individual, of course. The key here is that the problem gets addressed, not that the individual gets singled out. If you do point the finger, plenty of new issues can arise. For one thing, the finger may get pointed back at you or other team members, quickly creating fissures in the company culture. 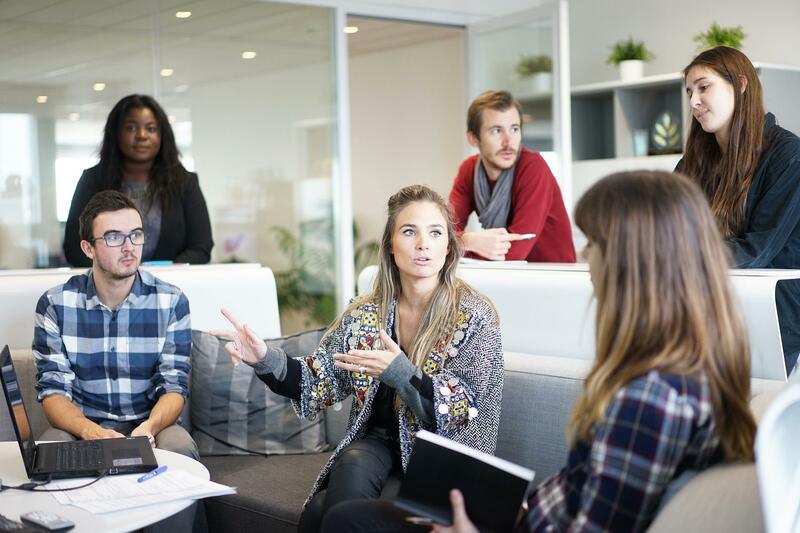 Also, blaming an individual in front of the team can make that person feel ostracized, which may decrease their productivity and willingness to work. Some mistakes are more serious than others, of course. If a team member does something hurtful, dangerous, disingenuous, or illegal, you will have to address this person directly. However, it’s often best to have a one-on-one conversation with said person rather than single them out in the group. Ultimately, the best way to criticize your team without demeaning them is to frequently remind everyone of their shared purpose. You and your team are in this together. There are bound to be mistakes along the way, and they all must be addressed. But it all must come back to the unified vision so every team member can regroup and get back out there better than before. It isn’t personal. If you’re still new to leading a team, it’s worthwhile to invest in any available communication training for managers. These programs will help you become a better leader, listener, and bearer of constructive criticism. If you want to learn more about how to manage your team effectively, look no further than Leadership Resources. At Leadership Resources, our purpose is making the impossible possible through people. We aim to do so by helping individuals develop patterns of success that will decrease stress levels and maximize productivity. Contact us here to learn more about what we do and how it can help your business succeed and grow.